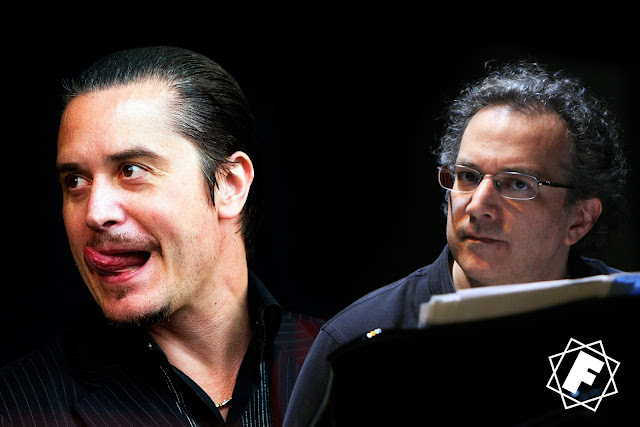 MIKE PATTON and URI CAINE program includes Mr. Bungle and Slayer AND new music! 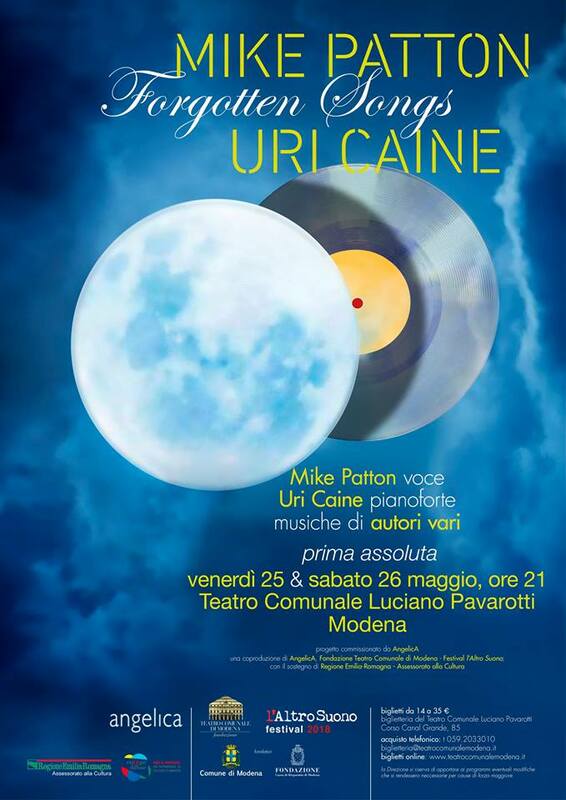 Mike Patton will perform Forgotten Songs with Uri Caine on Friday 25th and Saturday 26th of May 2018 at Teatro Comunale Luciano Pavarotti in Modena Italy. 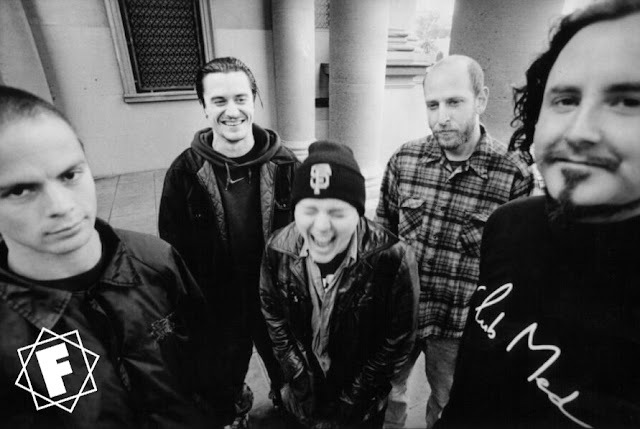 Patton recently commented that he is 'really looking forward to these shows'. The concerts are a co-production hosted by AngelicA and the Teatro Comunale di Bologna Foundation, and the program for the events has been revealed via their website. 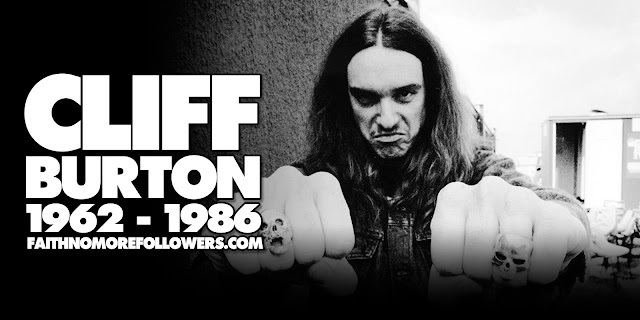 The music to be performed includes Connie Converse's How Sad, How Lovely which Patton recently recorded with Alain Johannes for a tribute record, Scalinatella from the Mondo Cane album, Better Off Dead by Elton John, Wonderful by The Beach Boys, Reign In Blood by Slayer and Retrovertigo by Mr. Bungle. However the most exciting track is a new composition from the upcoming [as yet unscheduled] collaboration between Patton and Jean-Claude Vannier titled CHANSONS D'AMOUR. On Friday we had que e sacado , gnossiene, ALWeber, Scallinatella, storia d'amore and the whole crooning of the list! It was SO beautiful! Uri Caine was stunning and Mike's voice at its peak! Beautiful and funny and, of course, lots of noises (chuncho). Elton John's song, so jumpy! Stevie Wonder's song was sung in full voice, so heartfelt! Great combination of the two, the jazzy upbeat piano with Mike's relentless imagination. It lasted almost 90 minutes. I was so so lucky to witness this, I came from Romania, and I hope they'll do it again.